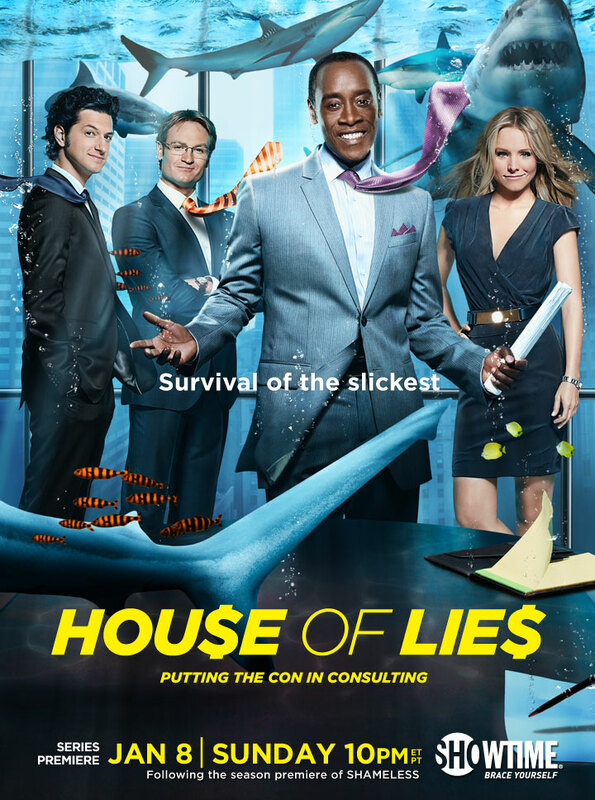 Debuting right after the second season premiere of Showtime’s Shameless is Don Cheadle‘s new drama House of Lies. I showed you the preview a couple of weeks ago. Here’s the key art.